Add a few cans of pie filling to your grocery list this week. 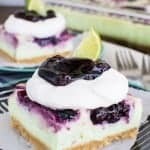 There are so many delicious ways to include the fruit filling in different dessert recipes. 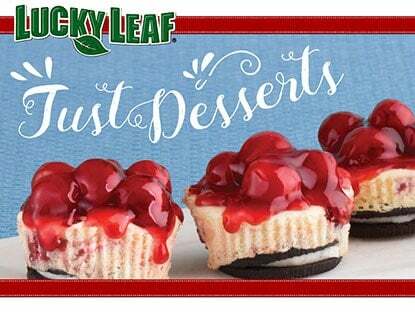 *Lucky Leaf sponsored this post. As always though, all thoughts and opinions are 100% my own. We always keep a few different cans of pie filling in our pantry to use in easy recipes. One of the desserts that my husband and I made quite often when we were first married is a dump cake. 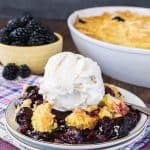 I love the flavor combo in this easy blackberry lemon dump cake. Please tell me you are familiar with a dump cake. It is exactly what it sounds like it is. Dump the ingredients into the pan, pour butter on top, bake until done, top with ice cream, and devour. It’s one of the easiest and most delicious things you will ever have. 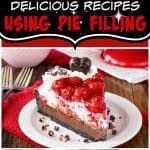 This year I am partnering with Lucky Leaf® to share some of my favorite pie filling recipes and their new e-recipe book. You can download the new free E- Recipe Book HERE. You are going to want to make every recipe in the book. I know I did after looking through it. 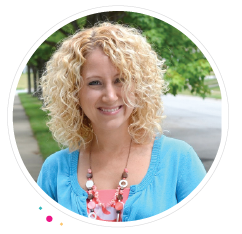 There are quite a few yummy recipes from some pretty talented bloggers in this years e-book. 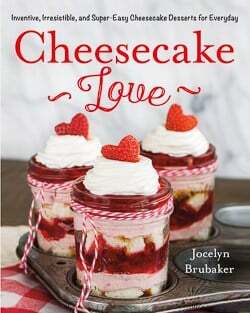 This year three of my previous recipes were chosen to be shared in the book. 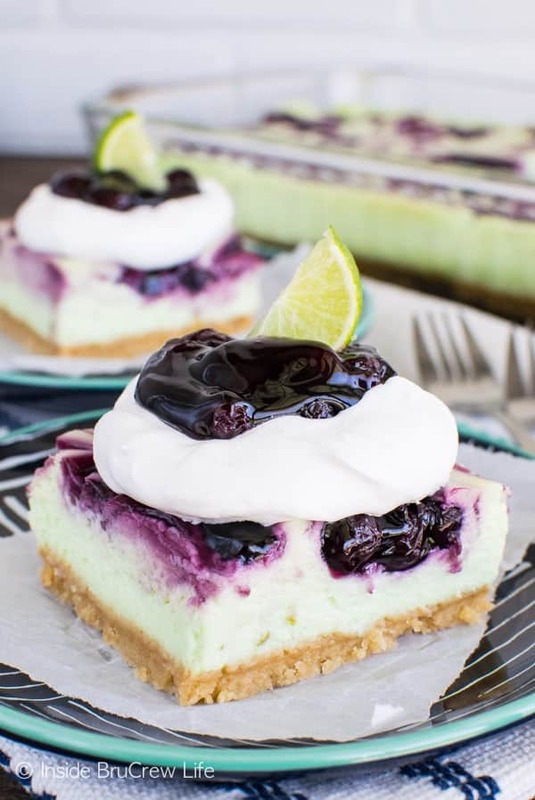 The first recipe is for these blueberry key lime cheesecake bars. 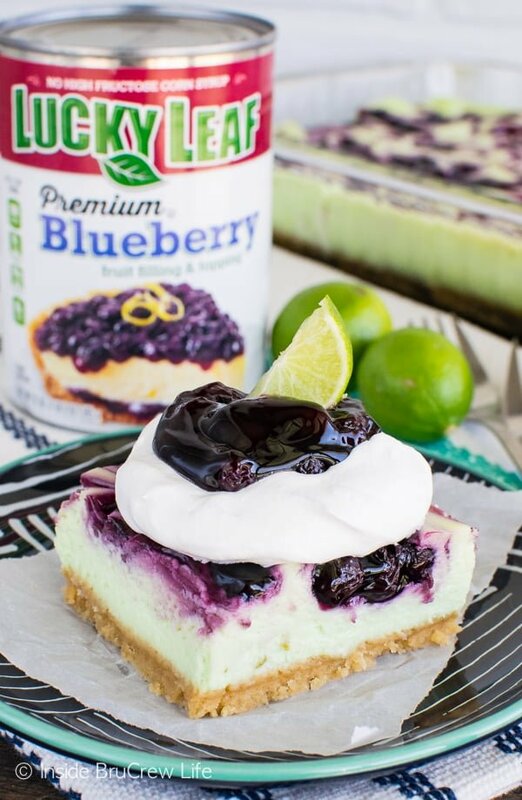 A swirl of blueberry filling in the creamy key lime cheesecake will have you going back for another piece in a hurry. I love to top mine with some Cool Whip and more pie filling. 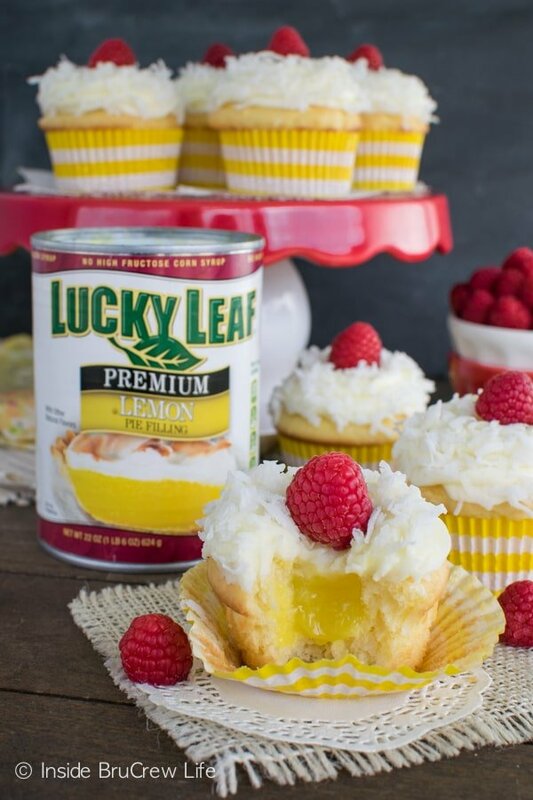 The recipe for these lemon coconut cupcakes can also be found in the e-book. These sweet cupcakes are the perfect spring dessert. 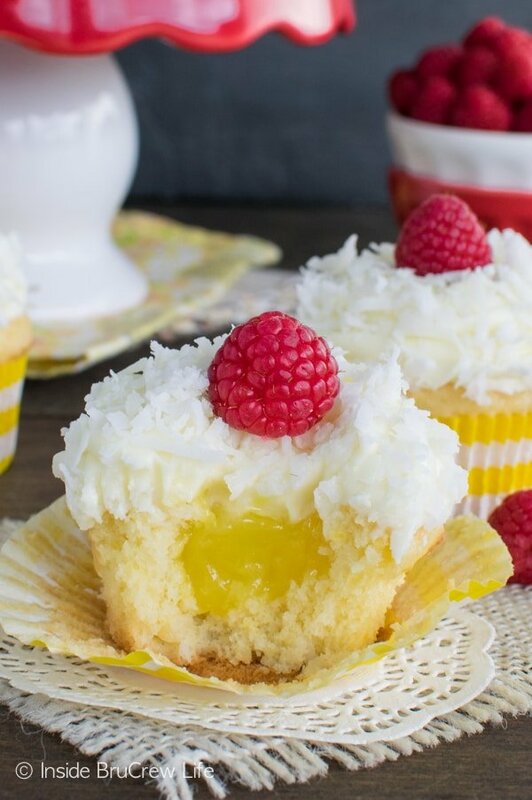 A hidden pocket of lemon pie filling and fluffy lemon frosting topped with coconut adds a fun flair to these semi-home treats. 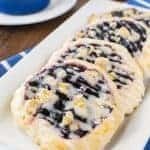 The last recipe of mine that you can find in the e-recipe book is for this Blueberry Orange Cake. 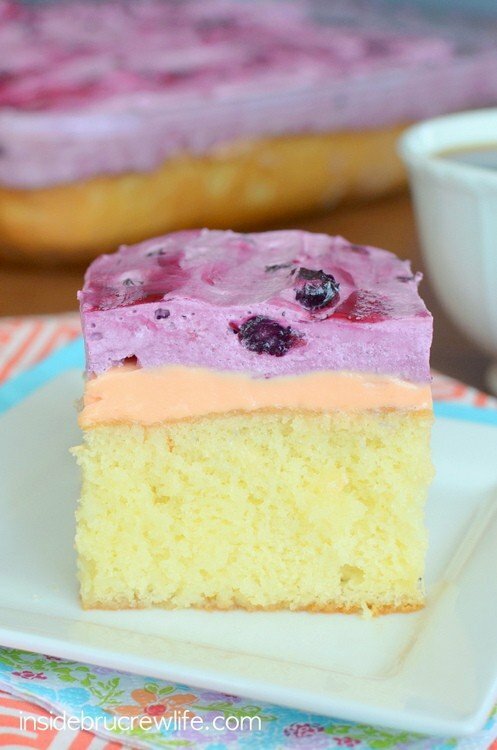 Blueberry pie filling and orange frosting give this easy cake such a delicious taste. The colors and layers make it the perfect spring or Easter cake. 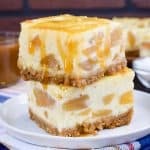 You will also find pie filling recipes for baked caramel apple cheesecake dip, black forest poke cake, peach pie bars, cinnamon apple pie, and so many more desserts. 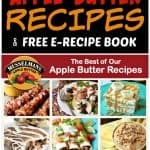 I suggest downloading and printing the free e-recipe book and then heading to the store to stock up on every flavor of pie filling you can find. This way you are prepared to bake your way through all of these great pie filling recipes.